NIIT shares surged 14 per cent to Rs 104 on the BSE in early morning trade after a funds affiliated with Baring Private Equity Asia (BPEA) said that it will buy the company's and promoter entities' 30 per cent stake in NIIT Technologies for about Rs 2,627 crore. NIIT Technologies was hived off from corporate and vocational training firm NIIT in 2004. NIIT holds about 23.1 per cent in NIIT Tech, while promoters Rajendra Pawar and Vijay Thadani with their families hold 6.94 per cent shares. 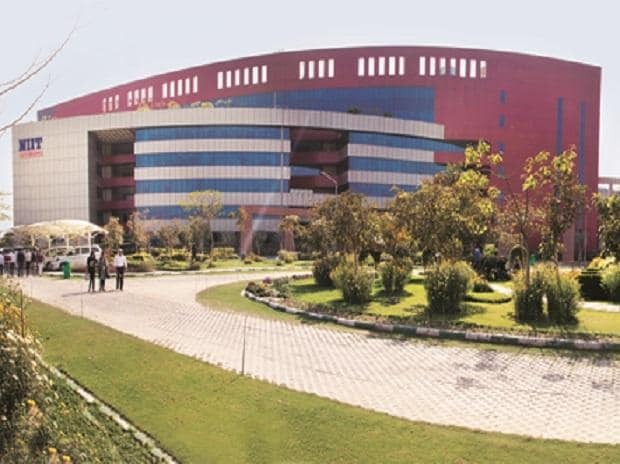 “NIIT Technologies on Saturday announced that fund affiliated with Baring Private Equity (Asia), have signed definitive agreement to purchase approximately 18.85 million shares representing 30 per cent stake in NIIT Technologies from NIIT and other promoter entities at price of Rs 1,394 per share. The aggregate consideration for purchase of shares from promoter entities is estimated to be approximately Rs 2,627 crore,” NIIT said in press release. The Asia-focused private equity firm will also make an open offer to the public shareholders of NIIT Tech to buy up to 26 per cent additional shareholding at the same price per share, taking the deal value to up to Rs 4,890 crore or $709 million for about 56 per cent stake. NIIT Technologies was down 3 per cent to Rs 1,311 on the BSE in intra-day trade on Monday. In comparison, the S&P BSE Sensex was trading flat at 38,878 points at 09:39 am.